The Extreme Tactical Kukri from Fox Knives is a fine tool that fits comfortably in hand with its Forprene rubber handle. 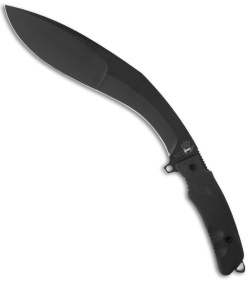 The blade is N690Co steel with two blade grinds for efficient chopping. 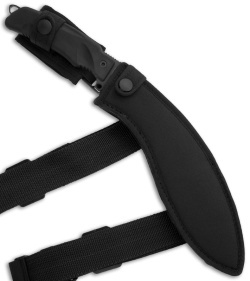 This fixed blade includes a heavy duty nylon sheath with a belt loop for carry.